About this object Wilmer “Vinegar Bend” Mizell of North Carolina played 14 years of professional baseball before serving in the House of Representatives. On this date, President Richard M. Nixon formally approved P.L. 93–33 (87 Stat. 71), giving the late Roberto Walker Clemente a Congressional Gold Medal. As the right fielder for the Pittsburgh Pirates, Clemente, a native of Puerto Rico, emerged as one of professional baseball’s greatest stars. In his storied 18 seasons with the Pirates, Clemente garnered 3,000 hits, 12 straight Gold Gloves (1961–1972), and the National League’s Most Valuable Player Award in 1966. But he was also celebrated for his selfless humanitarianism. On December 31, 1972, he was killed in an air plane crash off San Juan, Puerto Rico, en route to deliver supplies to victims in earthquake-ravaged Nicaragua. In the House, Representative William Moorhead of Pennsylvania introduced legislation to award Clemente the Congressional Gold Medal posthumously. Representative Wilmer “Vinegar Bend” Mizell of North Carolina, cosponsored the bill. 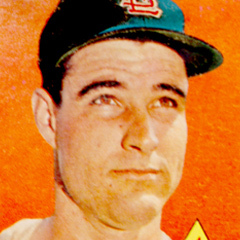 Mizell had pitched against Clemente as a St. Louis Cardinal (holding the career .317 hitter to just .238 in 47 plate appearances) before becoming his teammate in Pittsburgh during the Pirates’ World Series Championship season in 1960. Mizell recalled, “His power hitting, his blazing base-running, his amazing ability as a fielder—all of these are testimony to the fact that he was a complete athlete and a genuine superstar in the game of baseball. This is Roberto Clemente the ball player but the greatest testimonial to how great Roberto Clemente the man was, was the tremendous interest he took in the youth of Puerto Rico.” On March 27, 1973, the House passed the Clemente bill. Later that year, he was inducted into the Baseball Hall of Fame. In 2000, the Baseball Hall of Fame changed the order of his name to Roberto Clemente Walker to reflect the tradition in many Latino cultures in which a man uses his mother’s maiden name after his surname.